I’ve wanted a Hasselblad for as long as I can remember. I’ve shot photos with so many different kinds of cameras, but there’s nothing quite like the Hasselblad—It’s a classic, with an incredible history, and reputation. For medium format photography, it simply can’t be beat, especially with those Carl Zeiss lenses. Well, as luck would have it, back in November, I came across a local ad online for a Hasselblad 500c. The price was very reasonable, and so I went for it. I made arrangements to meet up with the fellow who was selling it, just outside of the Commercial Skytrain station. I’d paid him in advance, something I don’t normally do, but I needed to secure this camera before someone else got their hands on it. It was the right thing to do, because from the moment he placed the ad, at least eight people showed interest. So I met him in his van, just off Commercial Ave in Vancouver, and he gave me the camera. He also threw in a nice roll of expired Fujichrome Provia 100F Professional RDP-III 120 film, which was the first roll of film I loaded into the Hasselblad. 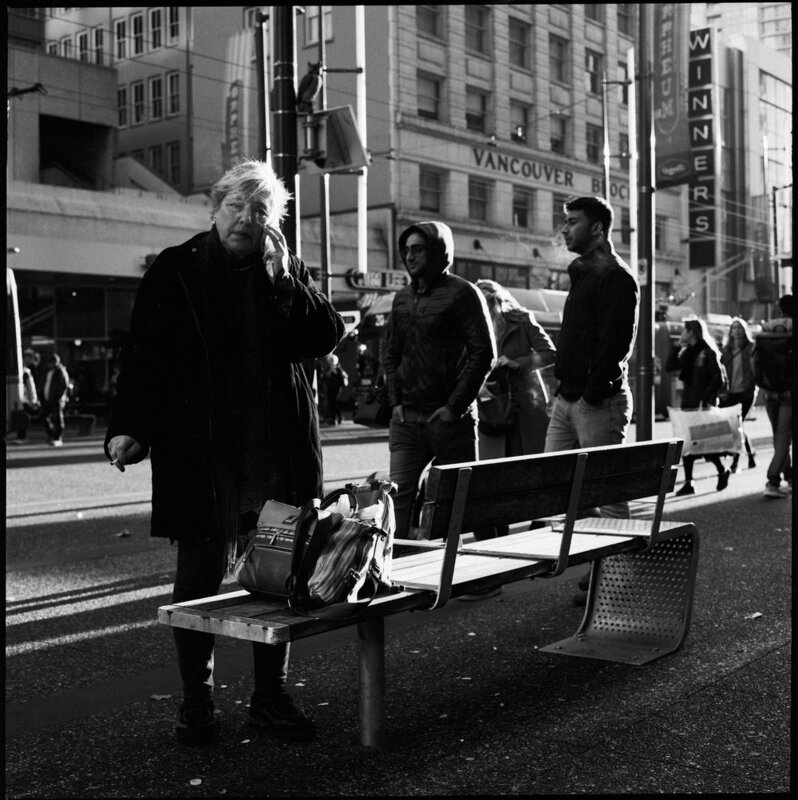 It has taken some practice getting used to using the Hasselblad 500c, but I absolutely love it. If you want to use a Hasselblad for street photography, you need to work extra hard. Finding your subject, and then focusing just in time, is no simple task, but it’s very rewarding when it’s done right. This particular model, the 500c, has a waist-level finder, which I think is perfect for street photography. It allows you to remain virtually unnoticed while you focus on your subject, because your camera is at your waist—unassuming, and nonthreatening, from your subject’s perspective. It is, of course, a lot easier using an eye level finder (optional for all Hasselblads, including mine) but again, getting a sneaky candid shot can be more difficult when you’re holding a very large camera up to your face. Hasselblad 500c with Zeiss Planar 80mm f/2.8 lens, at f/11 1/500. Kodak Tri-X 400 film, pushed to 1600. Home developed in Joanne’s Kitchen Sink. As soon as I got my beautiful new Hasselblad home, I couldn’t wait to show it off to my Honey Bunny Joanne. We give most of our cameras their own special names, and for this Hasselblad, Joanne came up with the name Apollo. A perfect choice for this camera, because this was the model used by the NASA Apollo 8 Lunar mission where they shot those incredible photos from the moon! I shot some portraits of Joanne, too. She’s not only a great artist and photographer, she’s also a lovely model! Joanne, beside the Polygon Gallery in North Vancouver. Shot with my Hasselblad 500C (Apollo), on Rollei RPX 400 black and white film, pushed to EI 1600. Developed in Joanne’s kitchen sink. Joanne on Lonsdale, in North Vancouver. 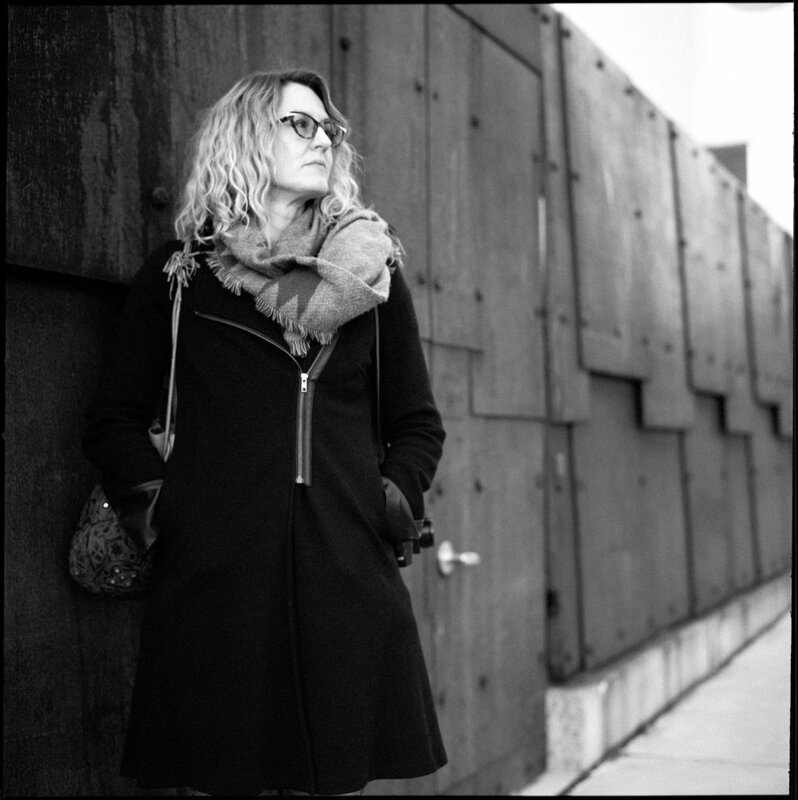 Shot with my Hasselblad 500C (Apollo), on Rollei RPX 400 black and white film, pushed to EI 1600. Developed in Joanne’s kitchen sink. Lovely Joanne. 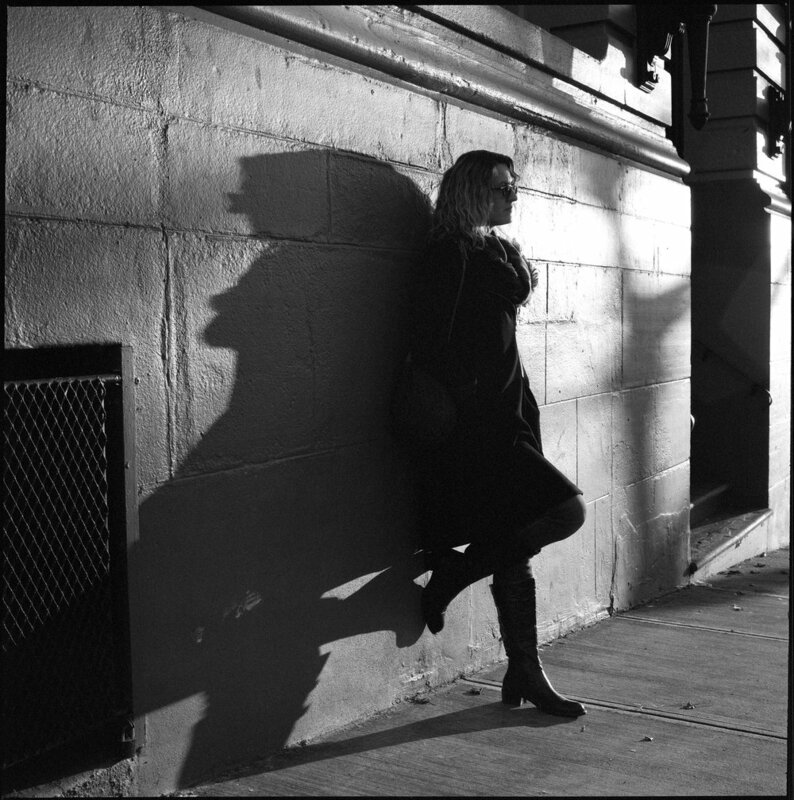 Shot with my Hasselblad 500c with Foma Holga 400 Black and White Negative Film. Pushed to EI 1600. Developed in Joanne's kitchen sink. I’m looking forward to shooting some upcoming events with Apollo. Stay tuned!